ALL IN PRICE: $4549 USD per guest, per suite, based on double occupancy. 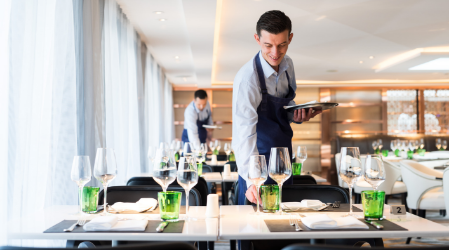 Fares listed are cruise-only, per guest in US dollars based on double occupancy, are correct at the time of printing, and include port charges, which vary by departure. 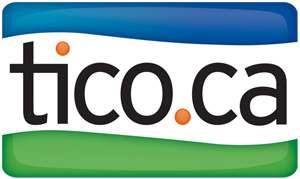 Fares listed are for select categories only and are correct at time of printing. Fares include Book Now Savings on select voyages. Book Now Savings are valid through April 30, 2019. 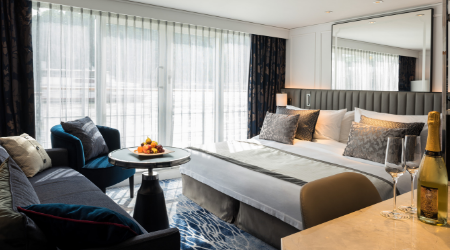 Stateroom/Suite assignments, deck and location may not be requested; specific stateroom and suite assignments may not be assigned until 24 hours prior to cruise departure date. 100% payment is due at the end of the option period. Fares listed apply to categories Ocean: OG (Ocean View) and VG (Verandah), River: SG (Suite), Yacht: SG (Suite) on select sailings only, are capacity controlled, subject to availability, may be changed or withdrawn and are not combinable with Group Bookings/Promotions with exception to Amex Centurion/Gold & Platinum Card Member, Strategic Partner Amenity programs and Crystal Society Milestone Redemption. Other restrictions apply, ask for details. Crystal reserves the right to correct any errors or omissions. 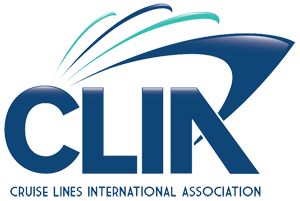 Crystal Symphony, Crystal Serenity, Crystal Mahler, Crystal Ravel, Crystal Mozart, and Crystal Esprit are all registered trademarks of Crystal Cruises. ©Crystal Cruises LLC. Ship’s registries: The Bahamas and Malta. 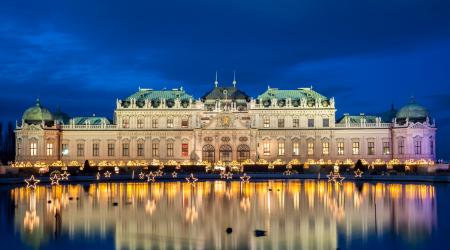 Once the capital of the Austro-Hungarian Empire and forever known for its manicured gardens, ornate architecture - especially that of the famed Ringstrasse - and distinguished roster of composers who either were born or lived here, Vienna finds itself at the very center of European culture, even as it sits near the border of the Czech Republic, Slovakia and Hungary. 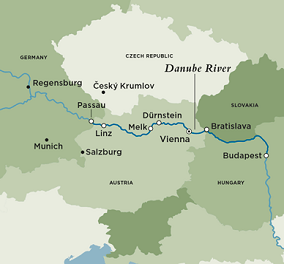 Considered one of the most visited tourist spots in the Wachau Valley, Durnstein is in a robust wine-growing region sitting alongside the Danube river. Durnstein Castle, the region's famous architectural highlight, sits atop a rocky mountain, high above the Danube, at its base. Durnstein's beauty is enhanced by verdant forests, rolling hills, and thriving vineyards that surround the town. Sip some of the region's local wines and enjoy a leisurely day in this postcard-worthy European town. Named the European Capital of Culture in 2009 and added to the roster of UNESCO Creative Cities as a City of Media Arts in 2014, Linz embraces the present and future, with reverence to its past. The city’s layout reflects its history, with an ancient medieval center encircled by neoclassical, neo-baroque and neo-Renaissance neighborhoods. 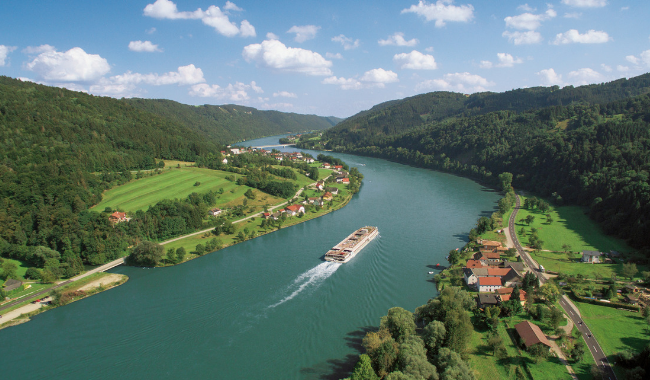 At the confluence of the Danube, Inn and Ilz rivers, Passau is also situated at a meeting of cultures. The town began as a Roman settlement, enjoying the rising tide of influence as the largest bishopric in the Holy Roman Empire and enduringly vibrant as a hub for various trade pursuits, including salt, swords and ideas. Wander the cobbled streets of Old Town, gaze upon arched bridges and Italianate manses and visit magnificent St. Stephen’s Cathedral and New Bishop’s Residence. This buzzing capital city is the heartbeat of Slovakia; a historic gem that stirs the imagination. A maze of cobblestone streets winds around 18th-century buildings and a pulsating modern art scene. Explore the museums, cathedrals and palaces, and relax at a shade-covered sidewalk café. Photography buffs will want to snap images of the medieval castle looming high above the city. 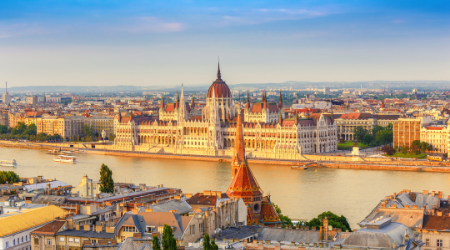 Commanding both sides of the Danube – with the Chain Bridge connecting hilly Buda with flat Pest – Hungary’s capital enchants with its magnificent architecture of domes and spires, 18th-century homes, bridges and lampposts. The UNESCO-listed Castle Hill welcomes all to explore Buda Castle, Trinity Square, Matthias Church and Fisherman's Bastion. Interested in Save up to $900 with Crystal Flex Fares from Crystal Cruises?